Saturday July 20, 2013, 8:00 pm. Howard Brofsky, cornet and mellophone; Harvey Diamond, piano; Jon Dreyer, bass; Joe Hunt, drums. At the New School of Music, 25 Lowell St, Cambridge MA. $15 at the door. Free parking at the school. There is also parking in the Mount Auburn Hospital lot around the corner. About a 15 minute walk from Harvard Square and on the 71 and 73 MBTA bus lines. After a transcendent performance in June, pianist Harvey Diamond reconvenes this quartet of musicians steeped in bebop history, for whom beauty has not gone out of style. Harvey is one of the great unsung heroes of Boston jazz. He eschews self-promotion, preferring to focus on the music. One of Lennie Tristano's last proteges, Harvey has that rare combination of technique, intellect and heart that makes his music appeal to the least and most sophisticated listener. He has performed with Sheila Jordan, Art Farmer and many others. As the liner notes note on his CD 73 Down, New York cornetist Howard Brofsky holds limitless affection for the bebop idiom and the American standards. He possesses a warm tone, understatement, and the ability to improvise what Charlie Parker called 'the pretty notes.' He is president emeritus of the Vermont Jazz Center and has played with Jimmy Heath, Donald Byrd and Dexter Gordon, among others. Known for his emphatic swing and deft ensemble work, Drummer Joe Hunt has performed with almost the entire history of jazz, including George Russell, Stan Getz, Bill Evans, Chet Baker, Eric Dolphy, Dizzy Gillespie, Dexter Gordon, Charles Mingus, and the list goes on. Bassist Jon Dreyer, a student of Harvey Diamond, has become one of Harvey's closest collaborators and performs regularly with him at the Java Room in Chelmsford. 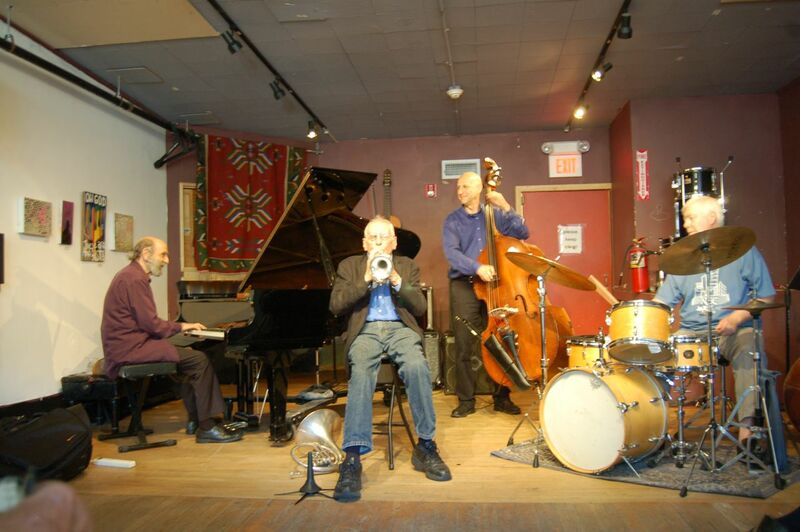 He also performs frequently with James Merenda and many of Boston's other top jazz musicians. Please put up concert posters!